Bill Mattos Stuff: High, low, no brace. This is going to be controversial. I make no apologies for that. I've been reading a bit lately about high brace vs low brace . There are a few recent videos online, but of course it's not a new debate - it's been accepted for decades that although the high brace is a thing, it should be eschewed whenever possible in favour of the less fragile low brace position. And that's fine. And also flawed. 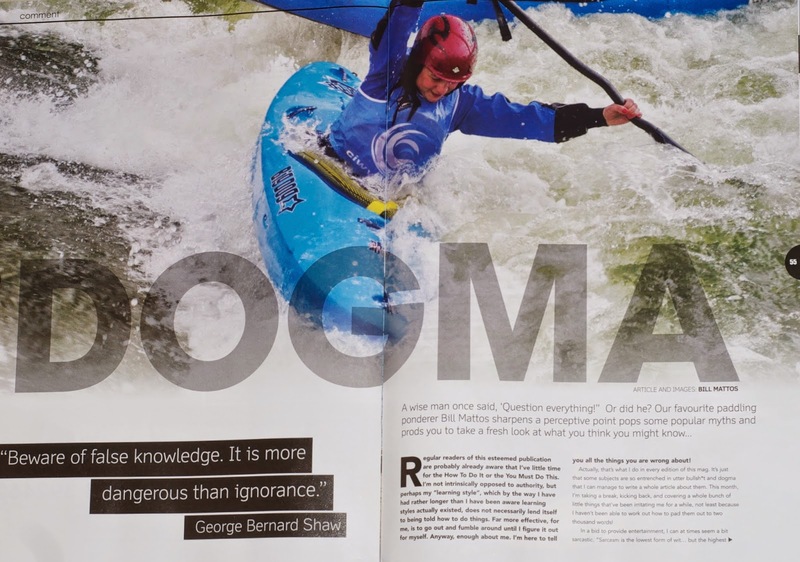 Back in the dawn of whitewater kayaking, or pre-seventies at least, pretty much everyone (generalisation, shoot me) was either a sedentary paddler or a slalom paddler. Sedentary is a word I use instead of recreational, because I hate the expression "recreational paddler". 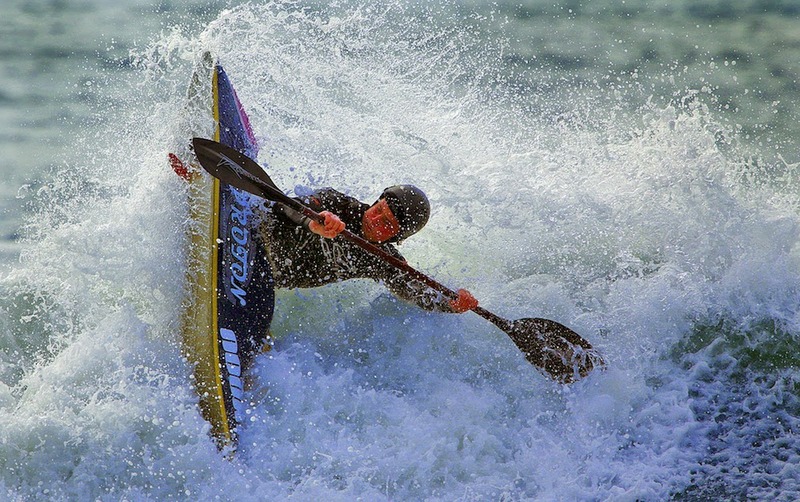 All paddling is recreation, unless you are paid to do it or it's your daily commute. What I want is a distinction between gentle paddling and athletic paddling, and the word "bimbling" has been struck off as not scientific or grown-up enough (bastards), so sedentary is the word I choose. (of a person) tending to spend much time seated; somewhat inactive. (of work or a way of life) characterized by much sitting and little physical exercise. Sedentary seems appropriate because a) all kayaking is done seated, and b) some paddlers do it with infrequent, or indeed non-existent, bursts of anything one might call exercise. And that's fine too, I'm not against that at all. Just making the distinction. Again, shoot me. Back to slalom. The early slalom paddlers used high braces, as well as the Duffek techniques and the now forgotten High Telemark (Google those), and even to this day you can see slalom athletes cranking a vaguely bow-ruddery-draw-thing stroke mash-up back until the top hand is almost behind the head. This sort of behaviour is routinely denigrated by some coaches as certain to cause injury (shoulder strain, shoulder anterior dislocation) and to be avoided at all costs, but the truth is it's likely to cause injury to people who have poor strength and conditioning or are genetically prone to shoulder dislocation. Neither group includes any slalom athletes, so they can be left out of the argument from here on! In a nutshell - yes, the high arm positions associated with some strokes should be avoided when they are not adding to your paddling functionality. Why take unnecessary risks? But surely more important would be to acquire the kind of musculature that will enable (most) people to perform these strokes when required without undue strain or risk of injury, and to avoid injury in the event that the scenario occurs accidentally. 1. Allowing the arm to rise above the shoulder and/or to be forced upwards/backwards. 2. No, that's it really. 2. Strength - muscle or conditioning imbalance that allows the paddler to resist forces in excess of those sustainable by the shoulder joint. 3. Reflexes - failing to let go with the hand or release core tension instantly when overloaded by external forces. All three of those are somewhat interconnected of course. These problems can indeed be circumvented by never adopting the position that puts us at risk, but I think that's a bit of a cop-out. They could be circumvented by staying at home and wearing a straitjacket, too! It was while watching a coach say "Never let your arm get above your shoulder and never let it get pushed back!" that I realised. This is nonsense for dynamic paddlers. I must admit that I'm not in the habit of high bracing, but actually my arm gets well above my shoulder while just carving a simple turn. Take a look at this pic - in my head I am doing a low brace, but in real space both my arms are well above the shoulder, and all the forces are pushing my left arm backwards, even before a few tons of water crashes into the whole situation. Reaching over a big wave, punching a hole, or sometimes boofing, it's equally the case, and in many more complex conditions even more so. Therefore... I require a physique that is able to handle that. And, perhaps, so do you. Now, you may be thinking that you are much better than I am and that you aren't going to get yourself into these situations. 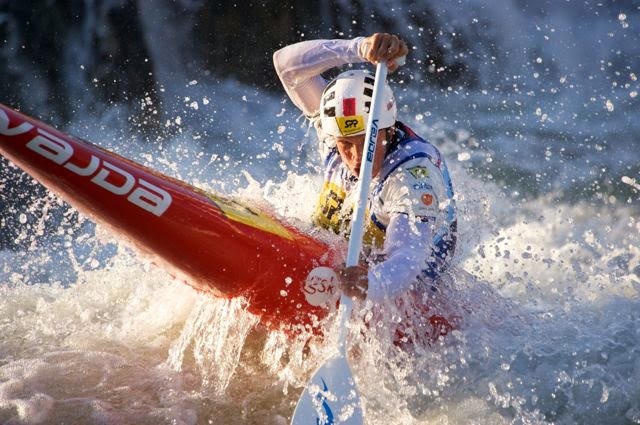 But let me ask you this, if you are a dynamic paddler (and this whole rant is irrelevant if you are not). How do you roll? I can't think of a single paddle roll technique that doesn't involve moving one or other arm into the sort of position we are talking about trying to avoid, while all the while waiting for some unexpected event to push the shoulder joint in the wrong direction. In particular the screw roll, which most people learn first and is the fall-back roll for most when things go wrong. 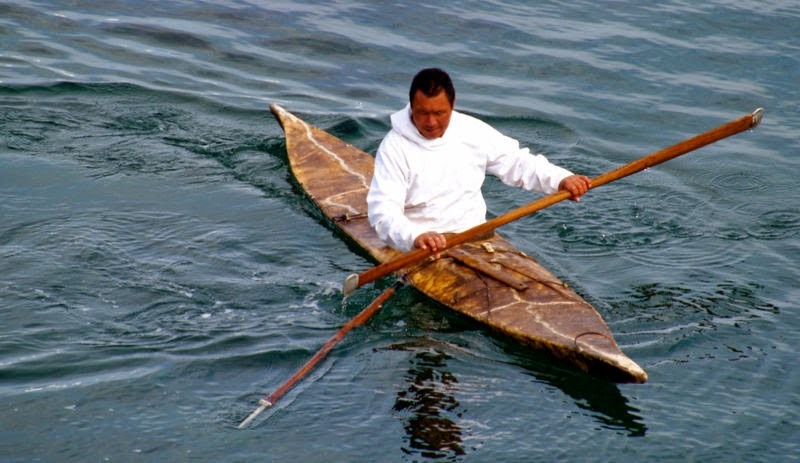 Back in the real dawn of kayaking, the Inuit invented the screw roll, as they did most of the rolls we know today, but they were paddling with a stick that provides very little resistance to the water. 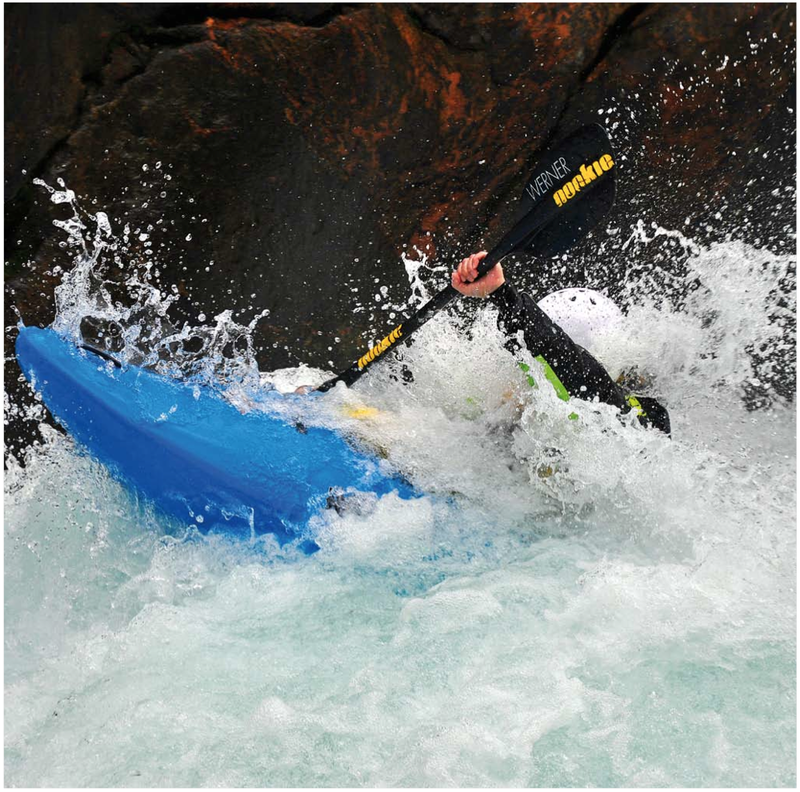 It would take a large sea creature swimming into the paddle full tilt to dislocate that kayaker's shoulder. Some modern coaches teach the "high brace" (using the drive face of the paddle) but with both elbows down so that the stroke is for all intents and purposes a low brace with the paddle the other way up for, I dunno, a bit of additional wrist strain maybe. They do this for reasons of safety, of course. But it's of no comfort when this happens (left). In conclusion - should you do high high-braces, elbow wrap bow rudders and the like? Probably not... unless you really want to. But whilst being cogniscent of the danger of such gymnastics, it also behoves us to be fit and strong enough to manage the arms in "above and behind" positions of stress, rather than just believing we can avoid the situation altogether. Coming soon - an article about strength and conditioning for a more robust physique for paddling. In the meantime, don't forget to breathe.